Xiaomi may be a device brand that we’ll rarely see outside of the Chinese market or far beyond,(for now anyways) but there’s plenty of proof that people love Xiaomi’s devices just by the sheer number of pre-orders that Xiaomi received for its RedMi Note phablet device recently. According to Xiaomi they had reached an astounding 15 million pre-orders for the RedMi Note which is impressive to say the least. The device has plenty going for it and if for nothing else the phone only costs a mere $130. What’s really quite astonishing though is that Xiaomi was able to pack in all sorts of goodies to the RedMi Note without having to charge you your unborn child just to get a hold of one. The 13MP camera is just one of the many perks you’ll get if you had or will end up ordering a RedMi Note, but along with that the device comes with a rather nice sized 5.5-inch display, which is certainly big enough to enjoy just about anything on. Worried about the power that the device will put out? You shouldn’t be as it comes with an Octa-Core MediaTek CPU and has 1GB of RAM. We’ll have now way of knowing how that octa-core chip stands up to other more well know chip makers, but with 8 cores and 1GB of memory it should be plenty fast to handle most tasks. It’s no wonder that Xiaomi was able to get this many people interested enough to pre-order the device. What’s more is that Xiaomi also offers a $160 model of the phone that comes with double the amount of RAM, making it a complete steal. Xiaomi was so excited to hit such a large number of pre-orders for the RedMi Note that it eagerly tweeted their accomplishment but had accidentally input the wrong amount of pre-ordered devices. The tweet listed that Xiaomi had gotten 122 million pre-orders for the RedMi Note which would have been completely insane. We’re not sure what caused the typo but we can probably chock it up to an overload of excitement and simply entering in the wrong numbers. The difference between 15 million and 122 million is quite substantial though so the mistake is kind of funny. Hopefully we’ll see some of these phones make their way state side, and if not you can at least order one from Xiaomi and have it imported. 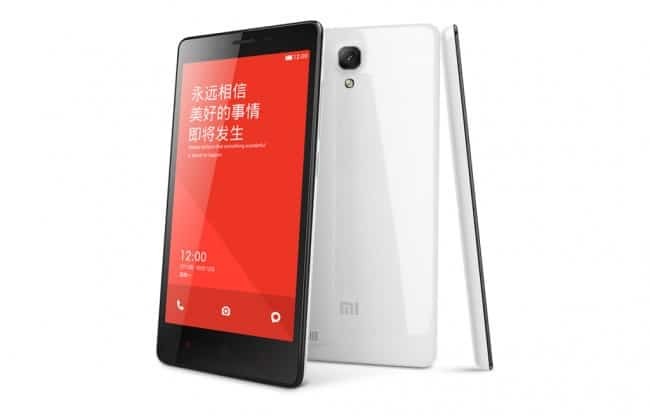 The post Xiaomi’s RedMi Note Pre-Order Numbers Reach 15 Million appeared first on AndroidHeadlines.com |.